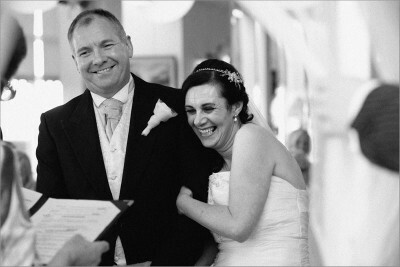 After the wedding, Keith liaised with us to produce the album. We were given the time and careful attention to choose from the wide selection of images that is typical of Keith’s personal touch. The colour and composition of the album produced a stunning memoir of our special day, telling an original story showing all of our friends and family at their best and of course the happy couple! I would happily recommend Keith and his team for any special occasion but above all for weddings. They are the perfect choice to be assured a perfect outcome for the big day. From our experience of having Keith share our special day, It’s our opinion that this is more than just a job to Keith, its more like a vocation to him, although we only met him for the first time just before our wedding, it was like we had known him all our lives and now see him as a friend for life. We would definitely recommend Infokus to any couple who want the perfect wedding album to compliment their perfect day. When it came to choosing our photos for the album it was difficult as there was so many fantastic natural ‘in the moment’ images captured from our day. Keith had great ideas about the layout and cover of our album. Our wedding album turned out amazing. We were so excited to show everyone how fantastic our album is and we get so many compliments on what an amazing job Keith did. The day we went to see our pictures was so exciting. We knew they were going to be brilliant but when we saw them we were blown away. Each shot was picture perfect and captured every emotion of our special day. They say a picture tells a thousand words, our pictures tell a million! So thank you Keith and Sandra for making our day even more special and making our memories last forever. 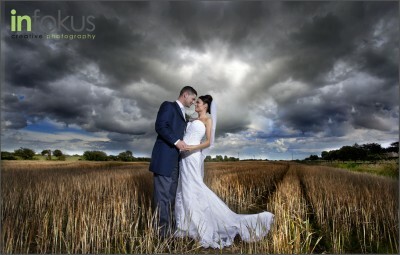 We would definitely recommend Keith and would love him to capture many more special events for us in the future.